Felicia’s life and work were massively attacked both in Israel and in Germany because she campaigned for justice and equal rights and treatment for the Palestinian People. She was the first of her kind who defended so-called Palestinian „terrorists“ in Israeli courts. She has had some successes, but before Israeli military courts, which are kangaroo courts in principle, she was unsuccessful. Such „defeats“ can be considered successes for every honorable lawyer. Nor was she ever able to accept the racist-Zionist ideology that is so revered and defended in Israel and by Zionists in Germany. Felicia’s commitment to justice and human rights has granted her several awards. In addition to the Alternative Nobel Prize, she was awarded the Federal Cross of Merit 1st class by the then German Federal President Horst Köhler. The ensuing smear and defamation campaign of the Zionist and pseudo-Jewish Israeli lobby is one of the worst ever initiated by the Zionist Lobby in Germany against a German-Jewish human rights lawyer. Some of these German and Israeli „men of honor“ tried to force President Horst Köhler to revise his decision while threatening to return their Federal Cross of Merit. These extortion methods are today part of the standard repertoire of the Zionist Israeli lobby in the political opinion struggle in Germany. 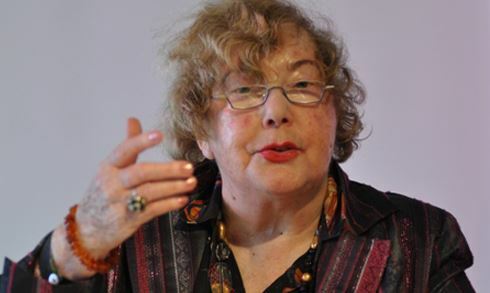 Felicia Langer is highly respected and revered by the Palestinians like no other Israeli-German citizen. Only Yasser Arafat is more adored. Both the Palestinian Authority and the city of Tübingen, where she lived in exile, should set up a memorial place for this great German-Israeli woman. Germany is rightly proud of its culture of remembrance, and Felicia Langer is an important one of them. Until shortly before her death, we were in close telephone contact. The title of her last bookcame up during a telephone conversation. Felicia was also an excellent advisor before the publication of my book on the Human Rights of Palestinians when the international public was tranked of the so-called peace process, elaborated in 1993 by Mahmoud Abbas and Israeli diplomats in Oslo, and signed in the garden of the White House. The resulting reality could not have been crueler and more disastrous for the Palestinians. Felicia foresaw this. Felicia Langer is one of the few outstanding Israeli-German personalities who have sacrificed themselves to the legitimate concerns of the Palestinian people to the last breath, and whose memory should remember by all three peoples. Their tireless commitment to Palestinian justice and human rights should always be considered an inspiration and a societal obligation to their political actions.